The Kent and East Sussex Railway (K&ESR) is a heritage railway currently running on part of the route of the historical company of the same name. The line today is a tourist attraction in the South East of England. It offers an 11 1⁄2 miles (18.5 km)) ride through the Rother Valley in vintage and British Railways coaches usually hauled by a steam locomotive, although some off peak services are operated by diesel multiple unit. The preserved line currently runs a total distance of 11 1⁄2 miles (18.5 km) from Tenterden Town station to Bodiam (within sight of the National Trust's Bodiam Castle), with an extra one mile (1.6 km) of track to the Junction Road station site (though there are currently no plans to re-open for alighting). 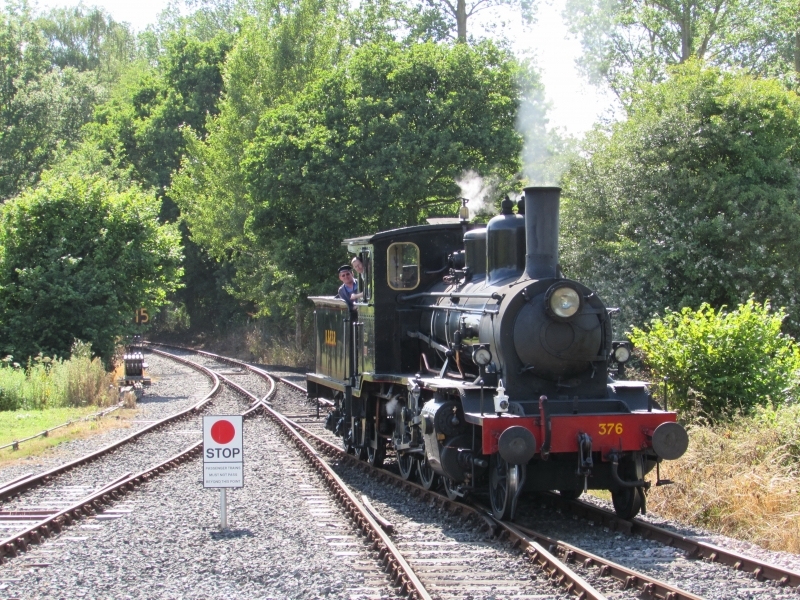 Please give us your overall rating for Kent & East Sussex Railway.